During a market consolidation as we are facing now, it is important to re-evaluate trading strategies and re-analyze the stocks currently in a basket. Such correction as happened recently in February makes investors rebalance their portfolio. This results in dumping weak stocks and holding or even buying more of the strong ones. Once market consolidates, these strong stocks tend to surge the most – even outperforming the industry. A part of such group is Advanced Semiconductor Engineering, Inc. (NYSE: ASX) and CACI International Inc (NYSE: CACI). Semiconductor investing is one of top performing industries at the moment. Why and how to invest – I’ve already published an article about that. ASX is engaged in semiconductor manufacturing services. The company is based in Taiwan, however, there is an ADR on NYSE so trading this stock should not be a problem. The last four reported earnings have beaten the estimates every time and the analysts’ recommendations have been strong buys four quarters in a row. Technical analysis indicates a well-established trend channel (wide blue lines) inside which a price keeps moving since September last year. ASX is positively correlated with Nasdaq that has been performing very well and thus, further gains are expected in following months. ASX stock recently hit the resistance and sat on the short-term support (blue dashed line). 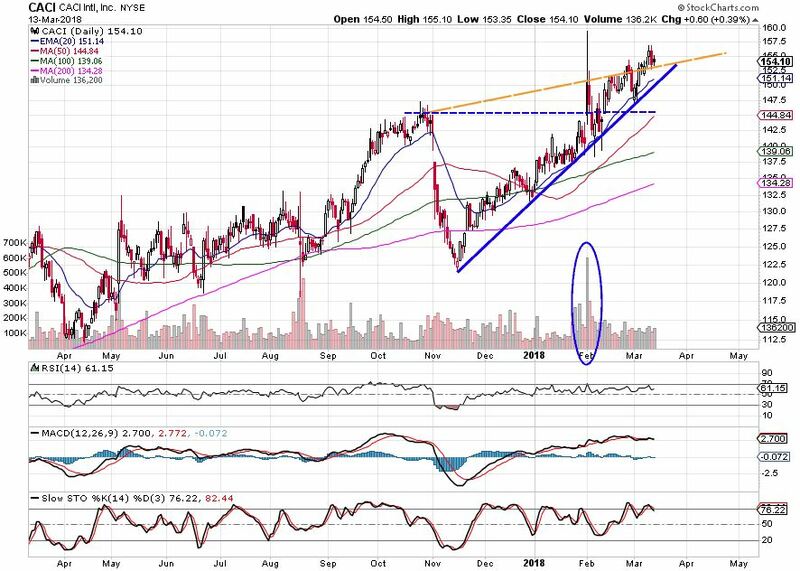 When looking at RSI and MACD, there is a slight bearish divergence as depicted by red arrows and hence, a successful trader should wait until the stock finds its forthcoming support. This will be most probably 50day SMA or inner trend line (orange dashed line). In the increased volatility mood, the stock may come back to its long-term support – lower blue support line. Both reverses would be considered as an entry point for a long position. CACI is a holding company providing information solutions and services in support of national security missions and government transformation for intelligence, defense, and federal civilian customers. The last four reported earnings have beaten the estimates every time, while revenue has been significantly rising on yearly basis. CACI started its bull run in November last year and kept its trace on the support since that time. A piercing through the horizontal resistance (blue dashed line) accompanied by very high volume (blue circle) is a sign of significant interest among the investors on the market. 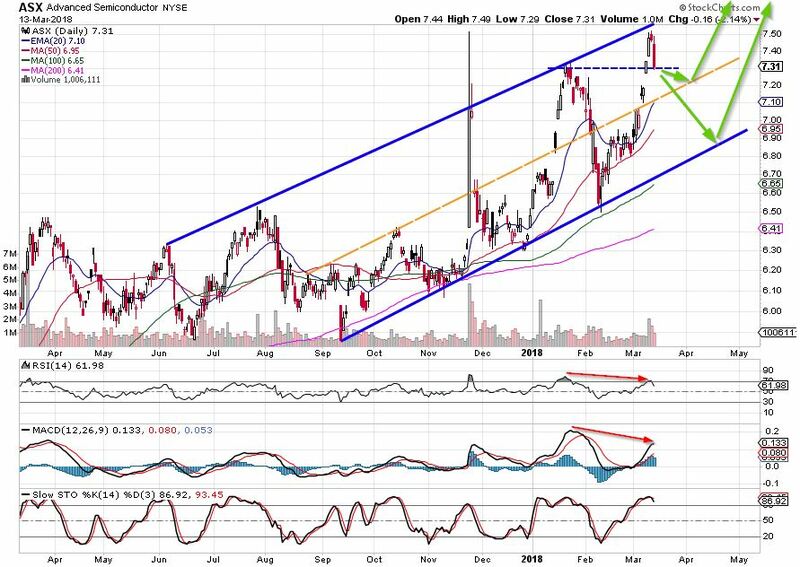 Furthermore, February correction did not move the stock down and let it continue to rise steadily as before. CACI is well positioned for the long position at the moment. Both companies bring favorable investing opportunity. Important is to stay disciplined and focused on the big picture!